Magnets are integral components inside industrial production equipment such as electromagnetic filters, liquid pipeline separators and metal detectors. In general, these machines are inevitably exposed to corrosive materials and heated at high temperatures. Magnet parts used in these cases usually have a short service life and have to be frequently replaced. This is a headache for one of the customers of Stanford Magnets. Our customer is one of the largest graphite and carbon companies in high tech. Due to the particularity of the industry, their production equipment often has higher requirements for magnets. 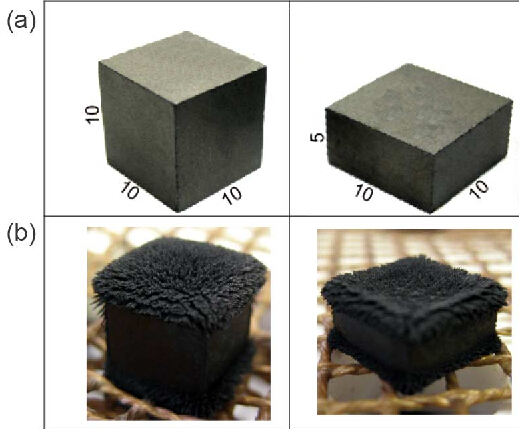 The process of synthetic graphite manufacturing consists of the following principal stages: Powder preparation→Shape forming→Baking→Graphitization→Pyrolytic graphite. In the process of powder preparation, the carbon powder has to mix with the binder, which is mainly consisted of coal tar pitch, petroleum pitch or synthetic resins. The binder is directly contacted with the equipment and it is corrosive. 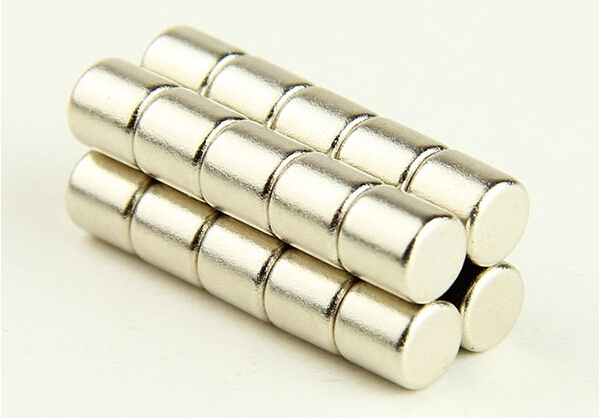 Imerys has been using Neodymium (NdFeB) magnets in the manufacturing process because they have strong magnetism (Neodymium magnets are considered to be the most magnetic magnets in the world). However, these magnets are prone to corrosion and lose their magnetism in the extreme environment. Imerys had to send people to regularly check the magnets, and purchase new magnets again and again. 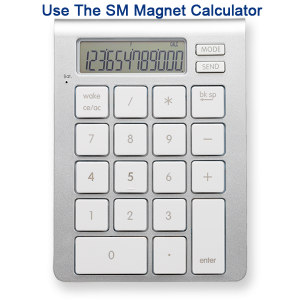 The frequent replacement of the magnets not only affects the production efficiency but also costs a large amount of money. Finally, they asked Stanford Magnets for help. As an experienced magnet materials manufacturer, we immediately point out the problem and proposed our solution. The idea of coating the magnets was correct, but the choice of the materials was wrong. The epoxy resin film layer and the plastic film layer do have good corrosion resistance, but their heat resistance and aging resistance are poor, so these two types of materials are not suitable in this case. Considering the strong corrosive working environment for the production of graphite and carbon materials, we finally recommended Imerys to try the Teflon (PTFE) coated magnets. Teflon (PTFE) is resistant to acid and most corrosion chemicals. In addition, it has great flexibility at low temperatures and thermal stability at high temperatures. Thus, NdFeB magnet coated with PTFE is a good choice for Imerys. As a result, Stanford Magnets’ advice successfully solved the customer’s problem of frequent replacement of NdFeB magnets used in highly corrosive environments. On the cost, Teflon (PTFE) coated magnets cost more (two times of the uncoated magnets), the total expense is actually reduced by 50%. How could that happen? By using the PTFE coated magnet, Imerys saved the cost of frequent replacement of the magnets and the regular check and maintenance of the machine. In this case study, Stanford Magnets put forward professional and effective advice, which is inseparable from our decades of experience in magnet manufacturing. We have a clear understanding of the magnet products and great insight into different magnets use cases. If you have any questions about the magnets used in your project, feel free to contact us and we are happy to provide you with a perfect solution.